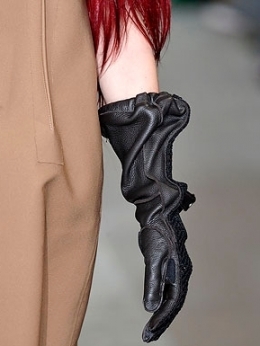 Fall/Winter 2010 Gloves Style Trend. Prepare for the cold days with the most stylish accessories and make sure you are armed up with chic designs in endless shades and fabrics. 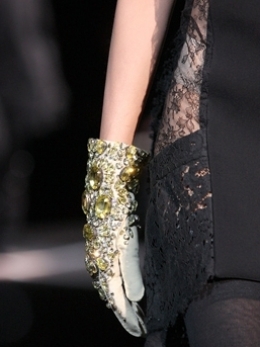 The Fall/Winter 2010 gloves style trend brings back the reputation of these fashion items as the symbols of dainty allure and high class. Live out your 'Mad Men' style fantasies or more edgy aspirations and build up your ace outfits with the help of the essential accessories of the next season. 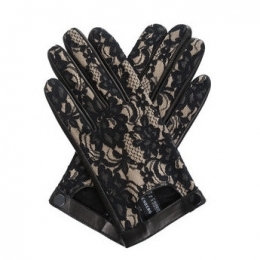 Grant yourself with an extra-helping hand this fall and winter and experiment with the stylish gloves trend that knows no limits when it comes of fabrics and designs. Vintage-inspired looks and don't forget about the chic Rock diva outfit essentials all can be easily complemented with these A-list accessories. 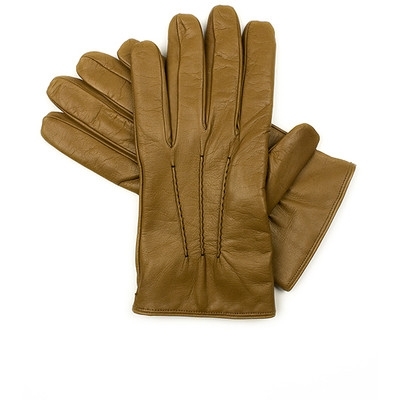 Watch out for the Fall/Winter 2010 gloves style trends and choose the right length and color that boosts the glam of your appearance. Designers managed to tame our crave for gloves styles and came up with a wide array of long, ruffled, fur, leather as well as knit gloves in all shades and designs. All you have to do is to raid the store for the chic models. 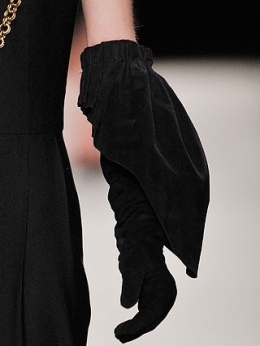 Cropped coats as well as stylish outerwear pieces look just gorgeous when paired with long gloves. These accessories aim to add a tint of suave class to your outfits and also echo the retro-inspired fashion tendencies of the next season. 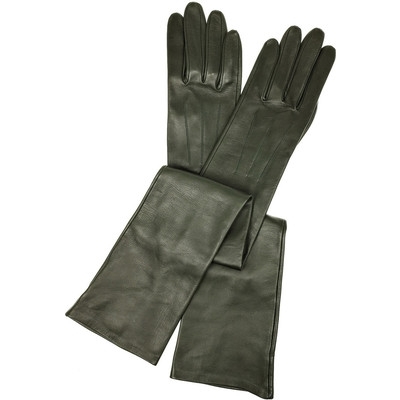 The Mad Men style apparel as well as the all time feminine allure can be enhanced with a pair of leather, fur or suede gloves in mono-chromatic designs or printed model. 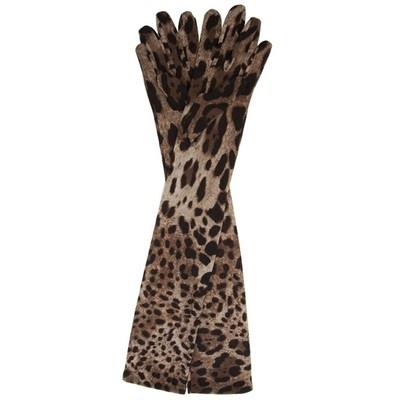 Don't forget out the fab fame of animal prints as well as bow and studded details and try your hand also at more revolutionary fabrics as shearling. These all suit both casual as well as more ceremonial outfits, only your creativity can set limits to mix/matching. 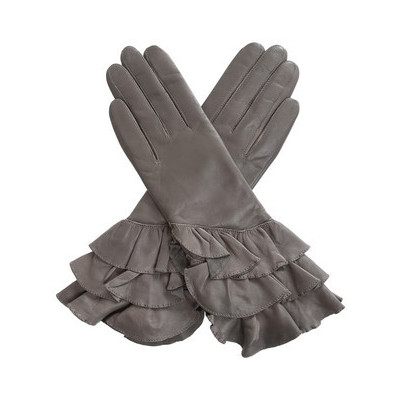 Fashion stores and for a more pocket-friendly solution thrift stores will also be glad to furnish you with classy designs of long gloves.These should be worn with coats and stylish jackets and even tops with mid-length sleeve in order to create a slim and neat line to your outfit. 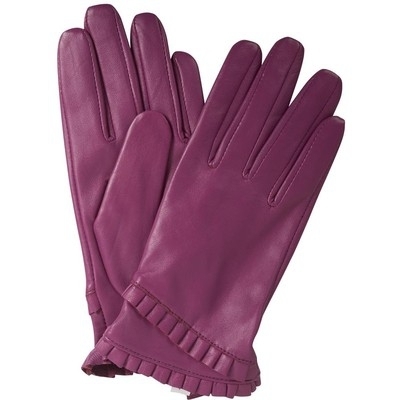 Moreover you'll have the freedom to sport a pair of long gloves in the same color as your coat if you are eager to preserve the block-colored patterns of your look. On the other hand breather life into these accessories by allowing the vibrating shades make a real statement.Red, yellow and metallic blue are only some of the fab ideas to try out now! 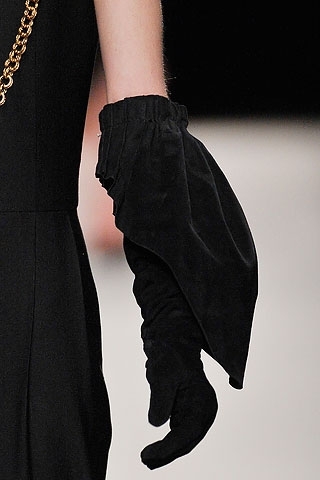 Classy length is also perfect to top your outfits be it a cocktail or a casual chic one. 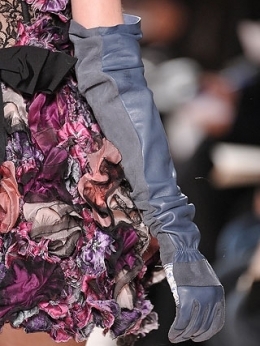 The runway offers endless examples on how designers manage to add a smashing personality to gloves that shine through the whole look and make their own statement. 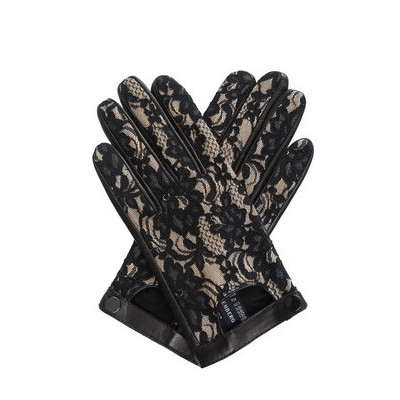 These cute ruffled, embellished lace and leather gloves above would give you only a seed of inspiration to learn more about your options.You might be fascinated by the leather accessory trend or on the contrary knits are just perfect to keep you warm? 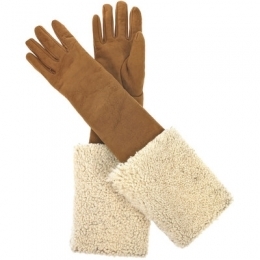 In both cases you might think about skimming through the large selection of designs. Skin-tight designs are perfect if you wish to complete your vintage-chic and feminine look. 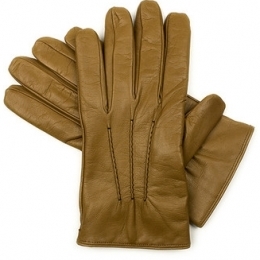 On the other hand the slouchy gloves are also on trend, therefore have them when you are in a more laid-back mood and would like to crown your urban sportswear apparel with an ace accessory. These alternatives are also popularized by our favorite celebs, therefore steal their tricks for a flawlessly accessorized appearance. 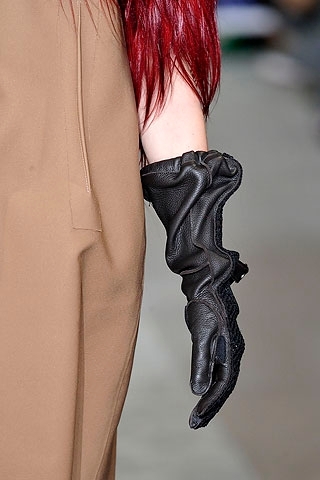 Let yourself be inspired by the most fascinating and breathtaking fashion collections from the A/W 2010 season that offer you the perfect blueprint to sport chic gloves in various shades and of different and refined fabrics as leather, suede and lace. 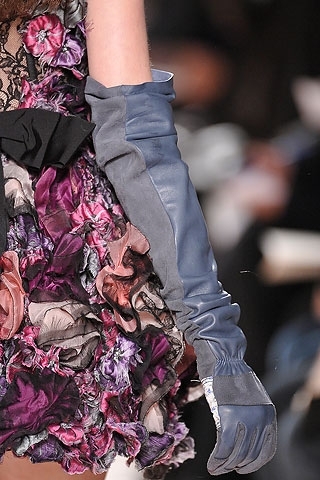 Take a glimpse at the outfit ideas that require a similar must have accessory for the colder days.